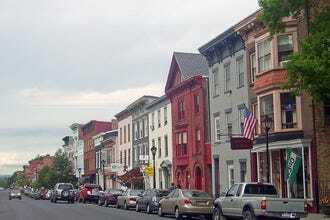 America's Best Historic Small Town? Bisbee, Arizona! The USA has a rich and exciting history, and visiting the places which most affected it is so much more fun than reading about it. 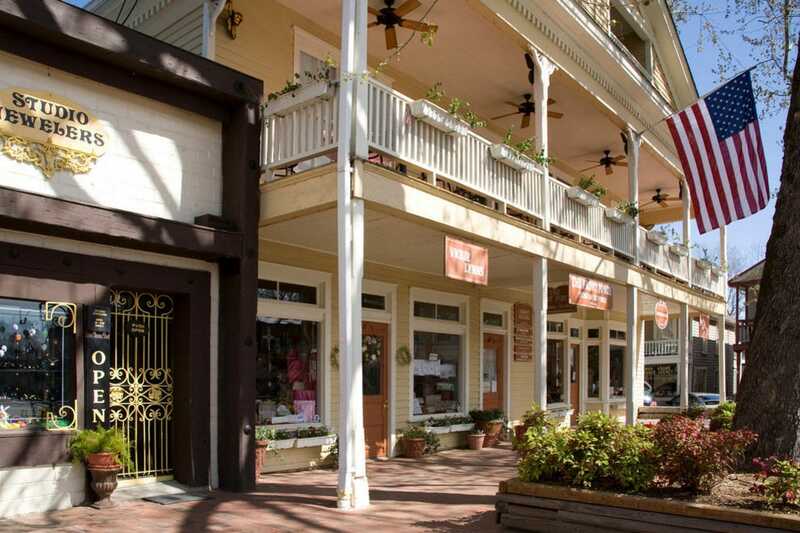 These 10 winners in the category Best Historic Small Town have big histories and small populations – fewer than 25,000 people – making them fun and affordable ways to dive into our nation's past. While chasing Apaches in 1877, scout Jack Dunn discovered rich copper ore in the Mule Mountains of Arizona and Bisbee was born. 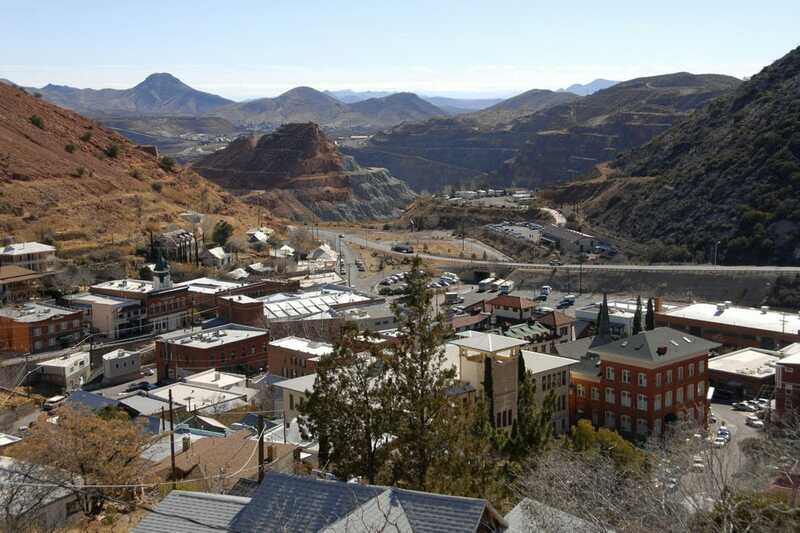 This mining boomtown produced more than $6.1 billion worth of mineral wealth in less than 100 years of mining operations. Today, Bisbee’s appeal lies in its Victorian architecture, pretty scenery and laid-back vibe, and the Smithsonian-affiliated Bisbee Mining and Historical Museum does an excellent job of recounting the town’s colorful history. 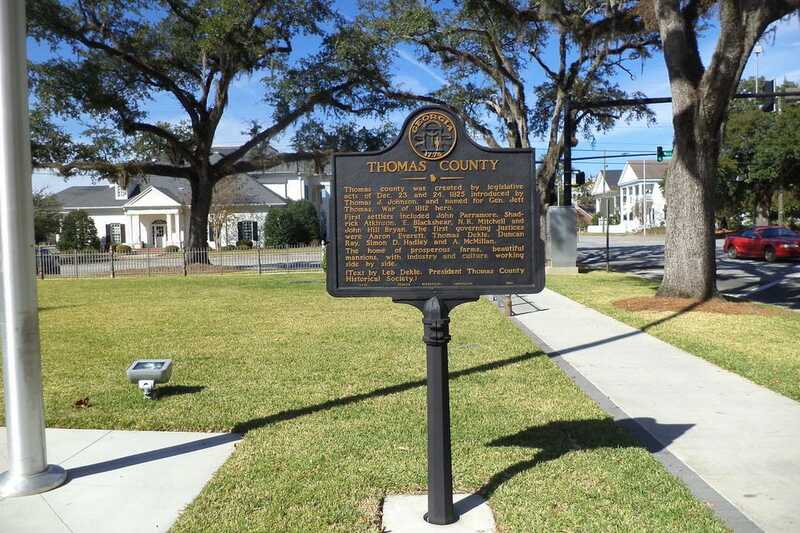 The town of Thomasville was established in 1825, but the community remained largely remote and off the map until the arrival of the railroad in 1861. During the Civil War, this Southern small town was an important supply point for Confederate soldiers, and for a brief period in 1864, prisoners from Andersonville were sent here. Post war, the town became a resort destination for wealthy Northerners – many of their grand plantation homes and Victorian mansions remain today. From shopping to foodie pursuits and beyond, there’s all kinds of play to be had in Abingdon, whether you’re watching one on the stage of its celebrated Barter Theatre or finding active to-dos in the great outdoors. Cyclists, hikers and historians enjoy the spoils of the 34.3-mile Creeper Trail, a working train line that’s enjoyed a successful rails-to-trails conversion, and Main Street, with its shops and galleries, keeps the historic downtown buzzing every day of the year. 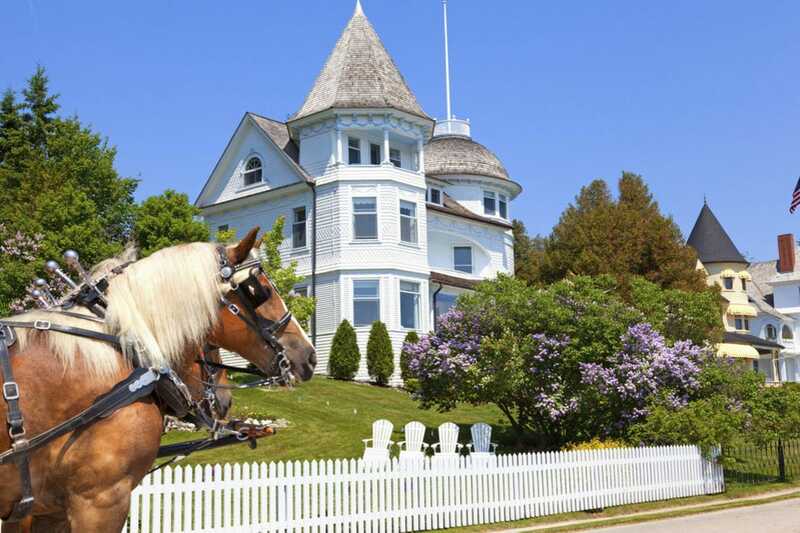 One of the last car-free destinations in the U.S., Mackinac Island, sandwiched between Lake Michigan and Lake Huron, seems trapped in the past, but in the most delightful way. Accommodations consist of white colonnaded turn-of-the-century hotels, while the horse-drawn carriage remains the favored form of transportation. With 80 percent of the island occupied by protected state parkland, those looking to explore the outdoors will find plenty of opportunity for hiking and biking. 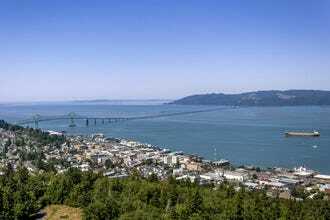 Astoria, Oregon was established in 1811, just five short years after Lewis and Clark wintered-over at Fort Clatsop nearby while exploring the western US. A ship of fur traders established a trading post known as Fort Astoria in what is now downtown Astoria, the oldest American Settlement West of the Rockies. Lewis and Clark National Historic Park encompasses several sites surrounding Astoria including a historically accurate replica of Fort Clatsop. 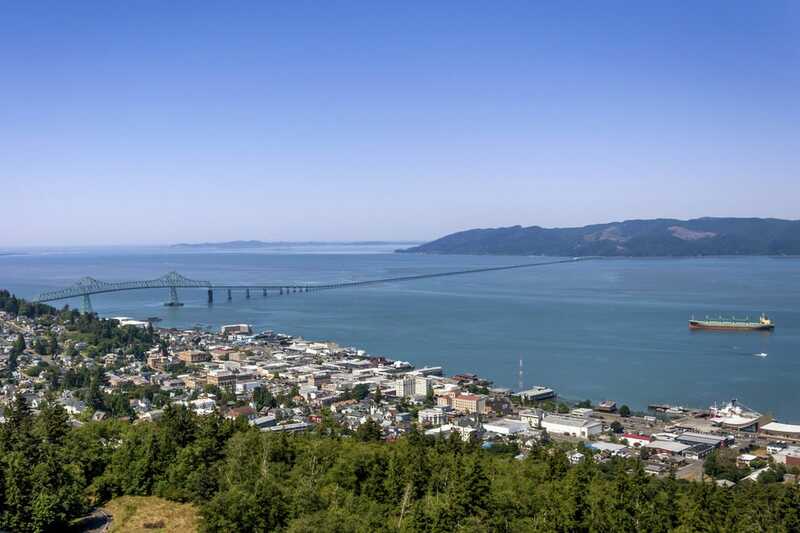 Once a hard-working port city with a booming fishing industry, Astoria is today an amalgamation of cozy bed and breakfasts housed in Victorian-era mansions, trendy restaurants and working waterfront. In 1911, a group of Danish-Americans traveled to California from the Midwest in search of a new settlement in a warmer climate. The settlers selected a sunny spot in the Santa Ynez Valley just northwest of Santa Barbara. 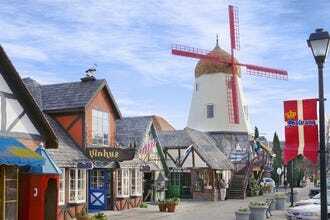 They chose an appropriate name for this fledgling community: Solvang, which is Danish for "sunny fields." Fast forward one hundred years, Solvang is a thriving hub of Scandinavian architecture and culture on the West Coast. 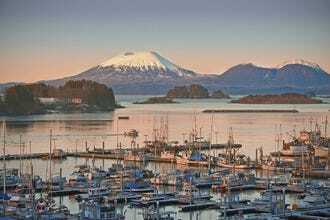 The Tlingit people have lived in Sitka and the surrounding area for more than 500 years, and their rich history and culture are in evidence throughout totem-filled Sitka National Historical Park. 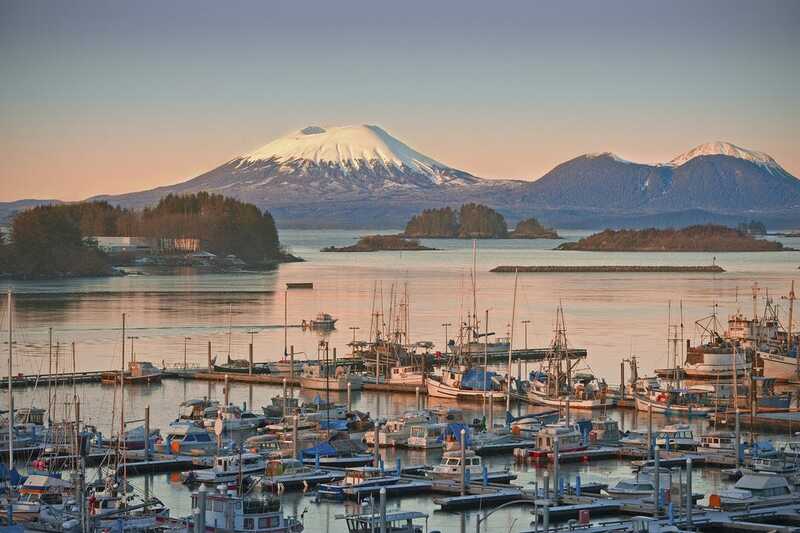 Russian immigrants began settling Sitka in 1799, and today, the intermingling of Tlingit and Russian influences can be seen throughout the town's art and architecture. Historic onion domed St. Michael's Cathedral has been an active Russian Orthodox Church for two centuries. A visit to Hudson is a study in the architectural styles popular from the eighteenth to the twentieth centuries, and despite intense urban development and renewal projects in other New York communities, Hudson has remained mostly unscathed. Among this small town's historical attractions are the Hudson Opera House, Columbia County Courthouse, Hudson Area Association Library and the First Presbyterian Church, where Lafayette gave a speech to the citizens of Hudson on his 1824 visit. 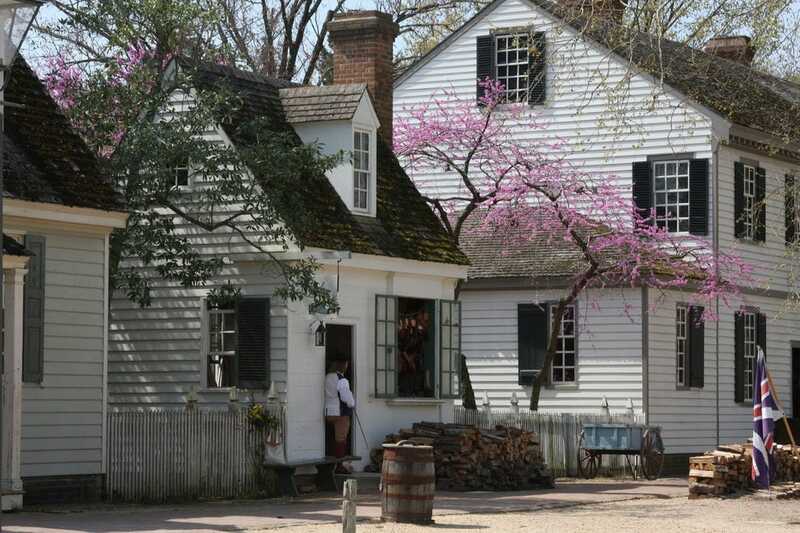 Originally the capital of Virginia (the largest state at that time) from 1699-1780, Williamsburg lost much of its prominence when the capital was moved to Richmond. 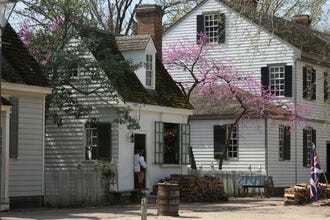 However this was a blessing in disguise as the town was left mostly untouched by urbanization and the Industrial Revolution, leaving many of its historical buildings and sites intact, despite bitter battles and sieges being fought in the area during the Civil War. 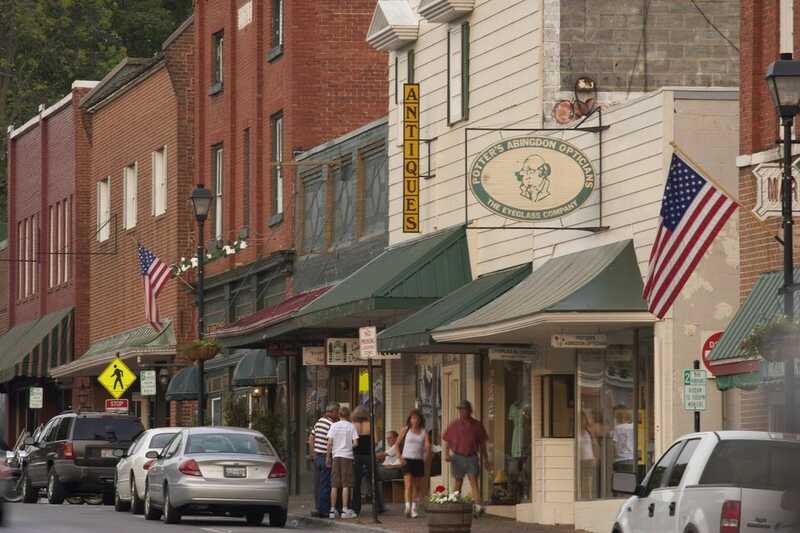 Despite the Wild West’s ample claim to gold rush fame, Dahlonega was actually the first city in the nation to enjoy a run on gold prospecting. Since then, its woodsy, mountainous terrain has evolved into a beautiful getaway destination just an hour north of metropolitan Atlanta. Beautiful architecture, waterfall and wildlife hikes and an impressive roster of wineries and annual festivals are just a few of the things that keep visitors coming back. 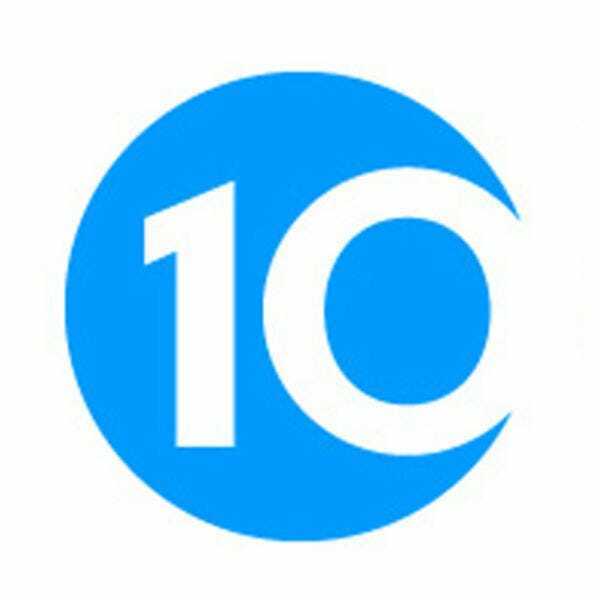 A panel of experts picked the initial 20 nominees, and the top 10 winners were determined by popular vote. Experts Larry Bleiberg (LarryBleiberg.com), Deborah Fallows (American Futures), Anna Hider (Roadtrippers), Libby McMillan and the 10Best team of Local Experts were chosen based on their extensive knowledge of American travel. 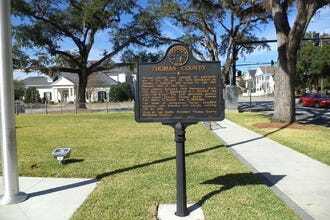 Additional nominees in this category included Beaufort, S.C.; Deadwood, S.D. 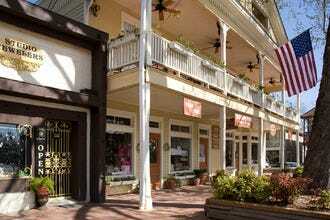 ; Fredericksburg, Texas; Natchez, Miss. ; Newport, R.I.; Oxford, Miss. ; Selma, Ala.; St. Augustine, Fla.; Taos, N.M. and Telluride, Colo.
Congratulations to all our winning small towns! Larry Bleiberg, a veteran journalist with magazine, newspaper and web experience and a member of the Society of American Travel Writers, has spent much of his career living in, and writing about, the South. The Virginia native is former travel editor of the Dallas Morning News and Coastal Living magazine and founder of CivilRightsTravel.com. 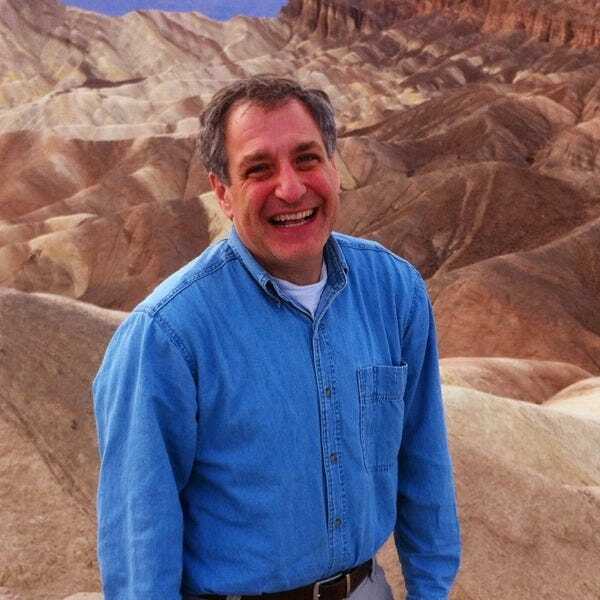 He served on a Pulitzer Prize team, is a seven-time Lowell Thomas Travel Journalism Award winner, and was honored for producing the best newspaper travel section in North America. Learn more at LarryBleiberg.com or facebook.com/larry.bleiberg. Deborah Fallows is a writer and a linguist. She and her husband, the writer James Fallows, continue crisscrossing the country in their small plane, reporting on the reinvention of small towns. Their national best-selling book on the project, Our Towns: A 100,000-Mile Journey into the Heart of America, was published in May, 2018. They are currently in production with HBO on a documentary based on the book. 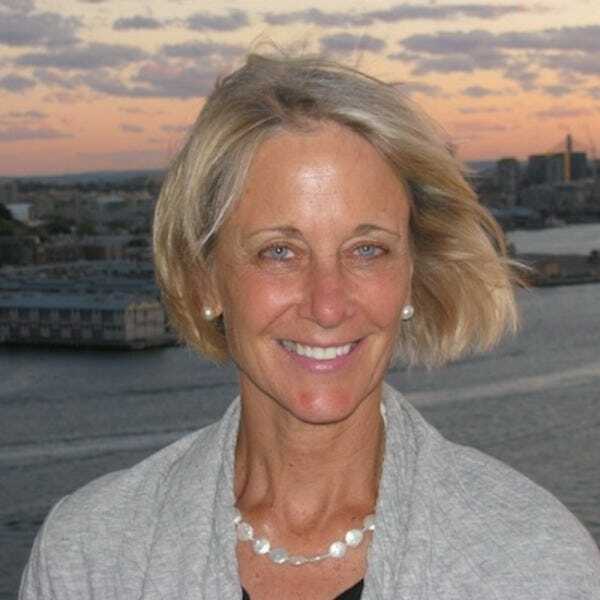 Deb has written extensively on language, culture, travel and China for The Atlantic, National Geographic, Slate, The New York Times and The Washington Monthly. Her 2010 book, Dreaming in Chinese: Mandarin Lessons in Life, Love, and Language, is based on her 3-year experience living and working in China. 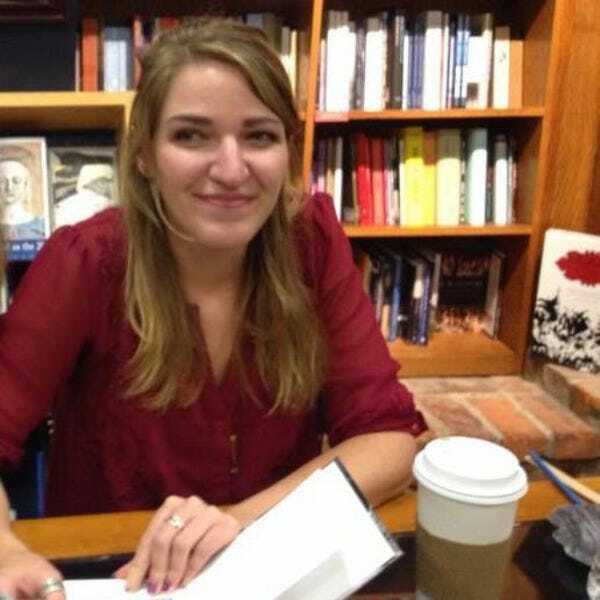 Anna is a writer and social media manager for Roadtrippers, the coolest trip-planning site and app on the planet, where she's spent two years digging up the coolest off-the-beaten-path things for travelers to see and do. She loves hiking, exploring, and sometimes even getting lost in a good state park, and is definitely a sucker for any place with a waterfall, a ghost town or a beach. A longtime travel journalist, Libby chose her beautiful city after a nationwide search for a new hometown. Greenville's amazing downtown, four mild seasons, varied terrain, friendly residents and countless nearby waterfalls made it a winner. An avid college football fan, Libby has deep ties to the University of Oklahoma but graduated from rival Texas. 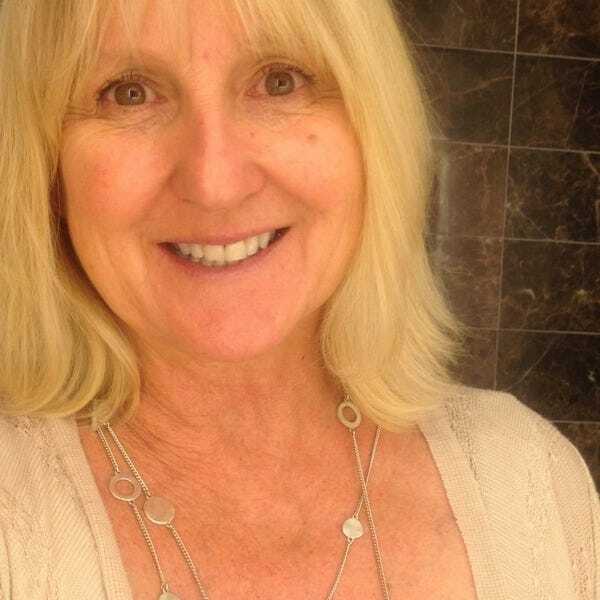 She’s lived in Austin, Boston, Nashville, San Francisco and Captiva Island, Florida, including 4 happy years on a houseboat. 10Best Local Experts provide users with original, unbiased, and experiential travel content of top attractions, things to see and do, and restaurants for top destinations in the U.S. and around the world. No business pays to be listed. Our Local Experts are well-traveled and well-educated group who are not only experts in their fields - and their cities - but discriminating in their tastes. These local experts live in the city they write about, with constantly updated content.